100% Natural Candied Chestnut Paste. Chestnut (54%), sugar (28%), glucose syrup (17.99%), vanilla extract (0.01%). 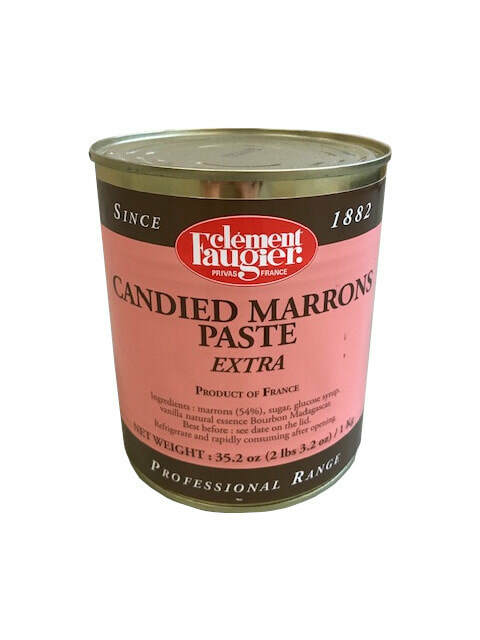 This candied chestnut paste is a pure delight in itself. It is the perfect delectable treat to eat alone, with ice cream or desserts such as pies, cakes, turnovers.